(W/A) Various (CA) TBD. Peer over the edge of the Spider-Verse, at five different realities ? and five daringly different spiders! Spider-Man Noir returns, as the Peter Parker of the 1930s finds himself up against Mysterio and knee-deep in the biggest Spider-Man event of all! What is the secret of Dr. Aaron Aikman, the Spider-Man? Who are the villainous Red Eye and Naahmurah, and can Aaron live through Morlun's arrival? In a universe where the story you know becomes as horrific as possible, a radioactive spider bites a high-school nerd who is already something of a monster. Then, what or who is the incredible SP//dr? 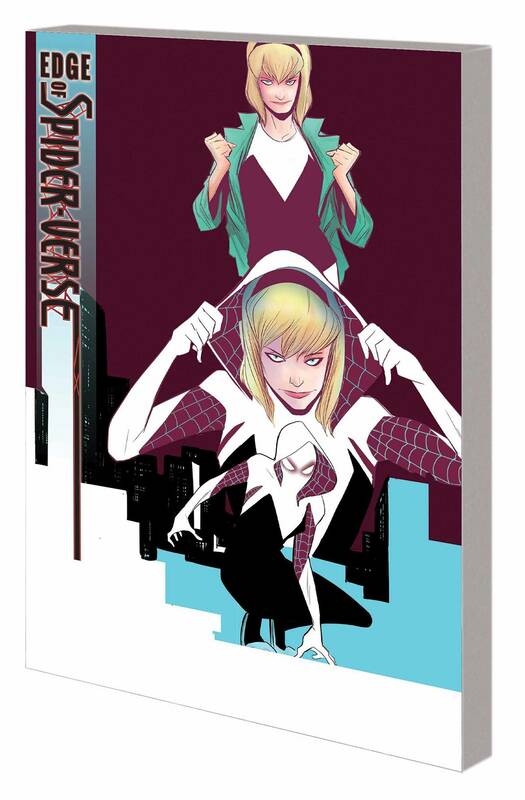 And finally, the breakout character of Spider-Verse makes her exciting debut ? in a world where the radioactive spider bit Gwen Stacy! Collecting EDGE OF SPIDER-VERSE #1-5. Rated T+.